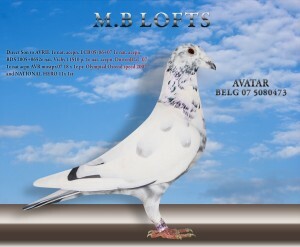 Stock birds housed at MB Lofts include direct children & grandchildren from the immortal Sumo, Red Barcelona, Pocco, Avril, National II etc, responsible for many, many winners at all levels of competition. 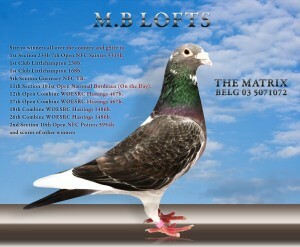 Welcome to my website, the following is a brief description of my history & birds at stock. 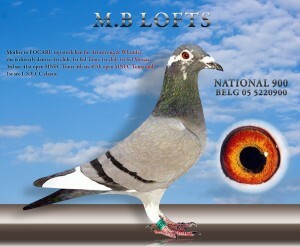 After starting in this great sport of ours in 2003, I decided in 2004, to search around for birds that were winning at club, fed, national and international level, and the name that came to the fore was the great Jos Thone of Belgium. After sourcing the best (and the most affordable), I eventually obtained birds bred by Jos Thone, from Trevor Benton of Cathedral Lofts, who bought children of Jos’s main birds at a great expense. 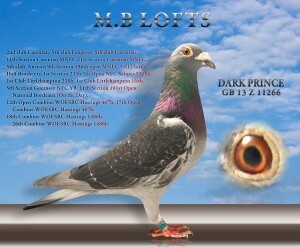 Birds were also obtained from the great Ian Stafford from his principal birds, also bred by Jos Thone. 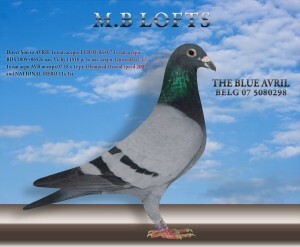 Entire clearance sales were also sourced for birds bred by Jos and several birds were purchased at great cost. 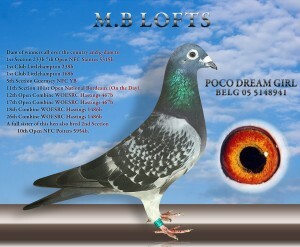 Please feel free to view birds and pedigrees detailed on this site, also feel free to ring me for further information.